Pantersbridge Bed and Breakfasts. Compare latest rates and Live availability for all your favourite places and places you have always wanted to go using our new My Shortlist feature. Click + to add to your Shortlist. 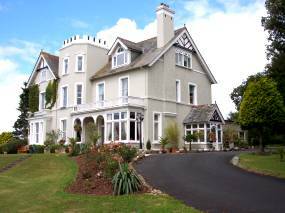 Bed and Breakfasts in Pantersbridge, Cornwall for 1 night from Sat Apr 20, 2019 to Sun Apr 21, 2019 within 10 miles, in an Average Nightly price range of £1 to £200. Welcome to Mennabroom Mennabroom is a small country estate with an historic farmhouse and three holiday cottages situated on the southern edge of Bodmin Moor in South East Cornwall. The bed and breakfast accommodation offers two luxury super king sized/twin bedded rooms with ensuite facilities and The Byre Cottage offering the full B & B package with views over the gardens courtyard and moor. Visitors are welcome to wander our land which include river and ancient woodland walks.